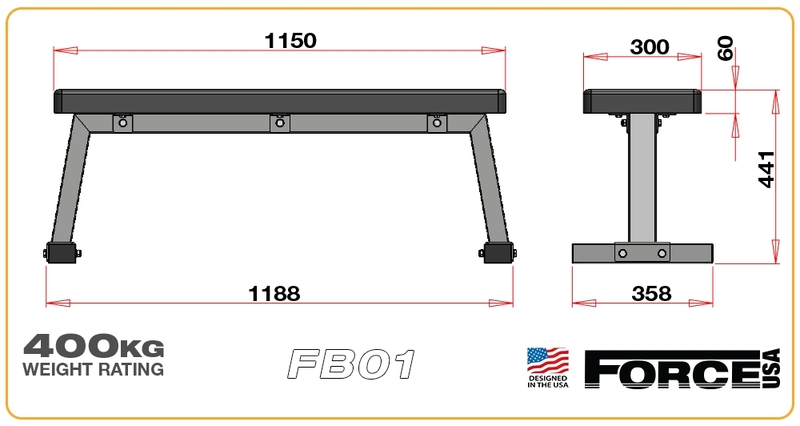 The Force USA Light Commercial Flat Bench has an incredibly strong frame with a massive 400kg weight rating. 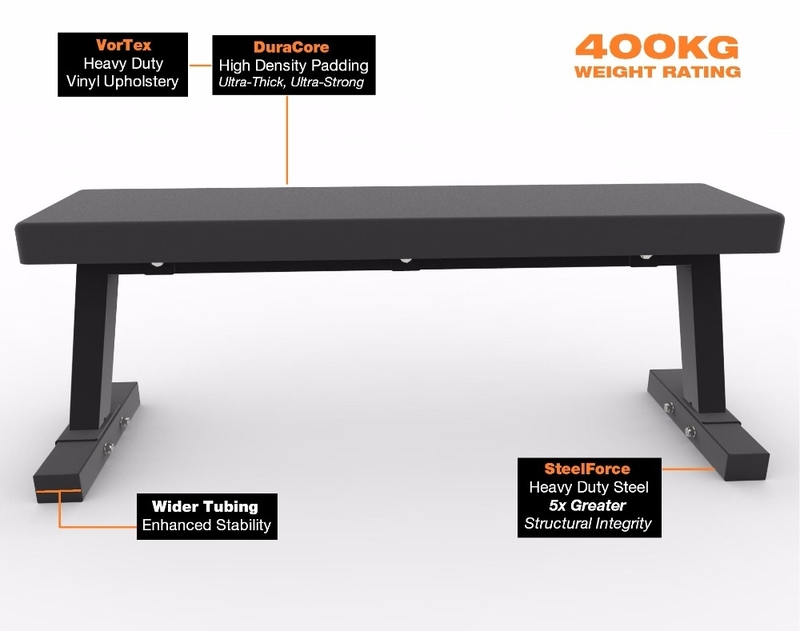 Enhanced stability with wide frame steel tubing. An extremely strong flat bench for barbell and dumbbell exercises. Chest presses, flyes, bent over rows and core movements can all be performed safely and effectively. Thick, heavy gauge SteelForce steel tubing for a massive 400KG weight rating. One of the strongest Semi Commercial Flat Bench with maximised stability for a safe workout every time. Force USA innovation in design. Oversized DuraCore padding with VorTex upholstery supported by a heavy duty frame with ultra-thick bolts for supreme strength. 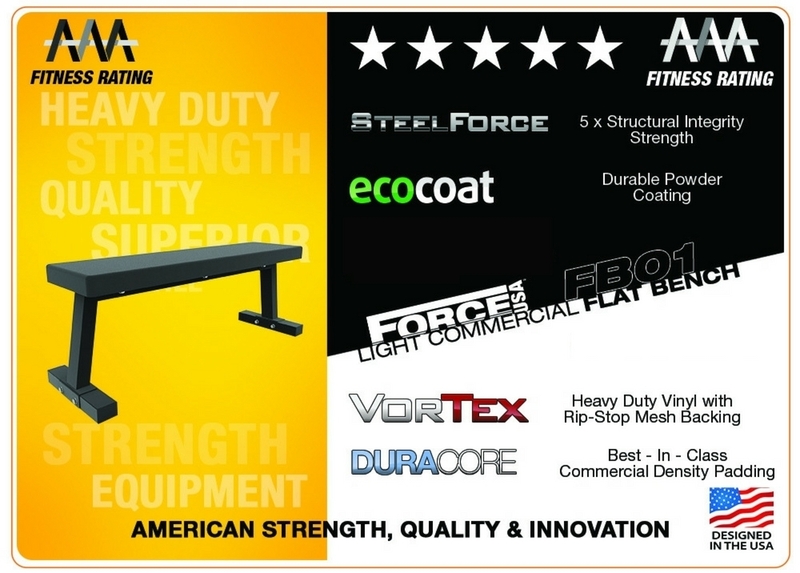 Why risk buying a generic, unknown brand when you can buy a premium quality Flat Gym Workout Bench which has been designed in the USA. Only Force USA gives you this level of quality and strength at an affordable price. Backed by Force USAs renowned LIFETIME STRUCTURAL WARRANTY. 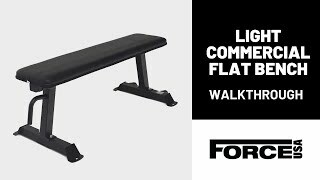 An insanely strong flat bench, the Force USA Light Commercial Flat Bench is ideal for use with dumbbells and also barbell training when used with Squat Racks, Power Cages, Smith Machines or Functional Trainers.